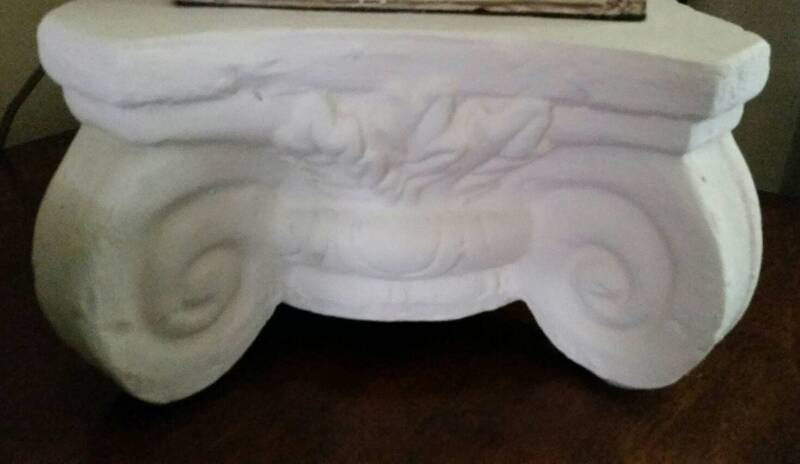 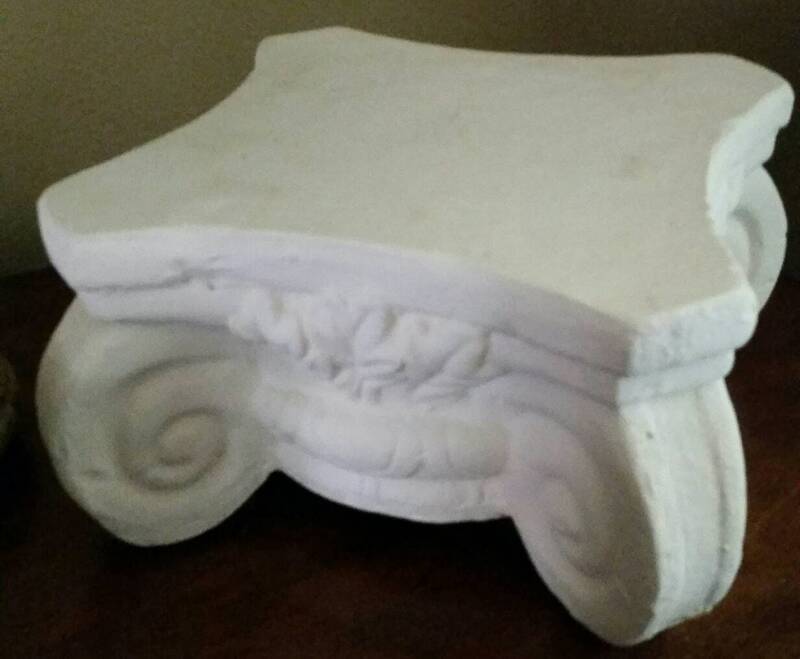 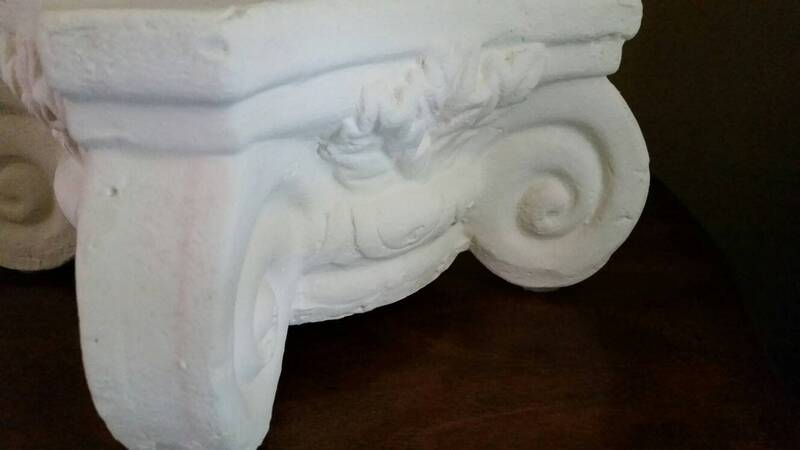 Medici Capital / Pedestal / Plaster Stand - Candle Stand - Plant Stand - Tablescape - Lamp Pedestal. 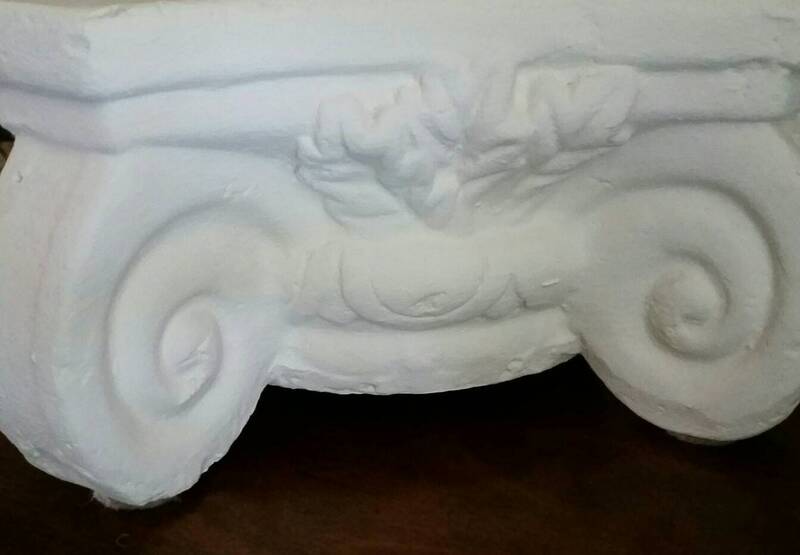 Size 10" by 10" by 6" high. 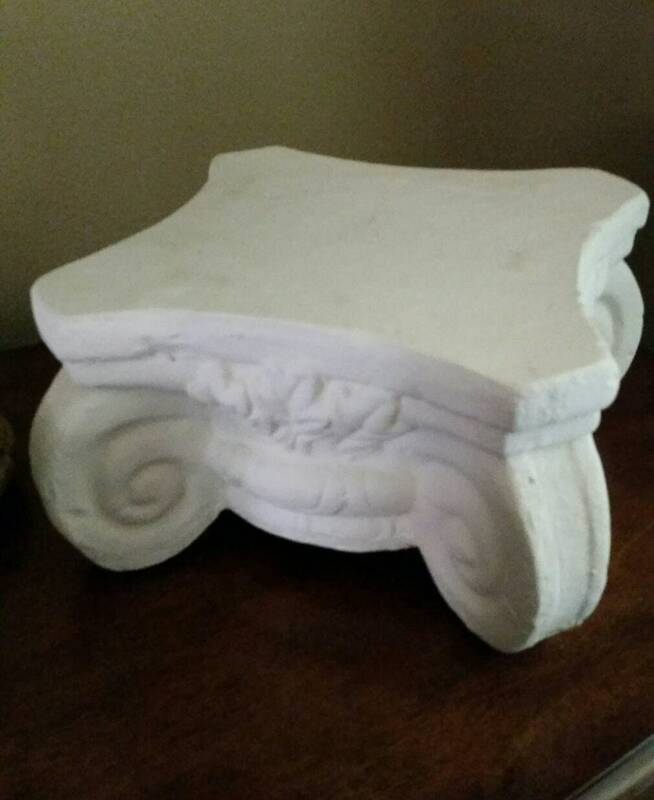 Tablescape, candle or plant stand, set a table lamp on it to raise the height.